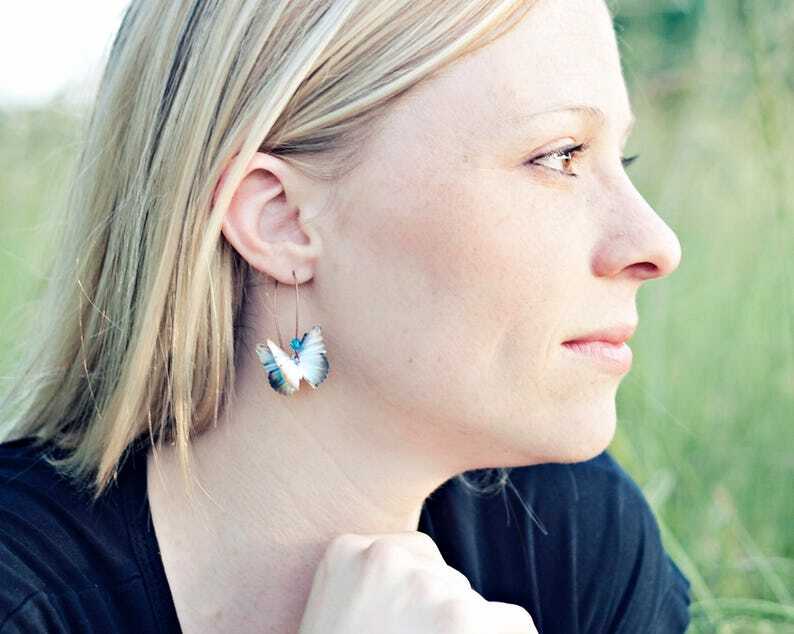 Almost Real Butterfly Earrings feature your choice of custom color paper butterflies made into a charming pair of loop earrings. The design is handmade using beautifully dyed recycled paper, reinforced with a step process sealant that creates a stiff and stable design while bringing out the rich color details of the butterfly. I am so impressed with these earrings that I plan to order more for myself and for gifts. They are unique, perfect size, cannot wait to wear them. So professionally done. The presentation in such a nice box with ribbon makes it perfect for gift giving. Thanks for the surprise that came with it. I will be back! 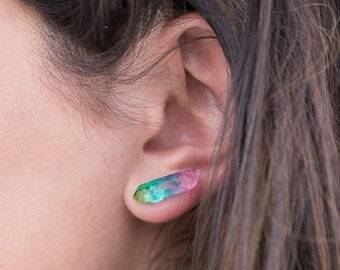 Amazingly beautiful earrings! Packaged so well and delivery was speedy. the earrings were great. they were shipped fast. this is the second time i have ordered some of these. my wife likes the different colors that are available. The earrings are glossed over and "hard", but still feel a bit delicate (for MY general wear 'n tear!!) I haven't worn them yet; I'll save them for a "Date Night". They're absolutely beautiful, though. I love them.